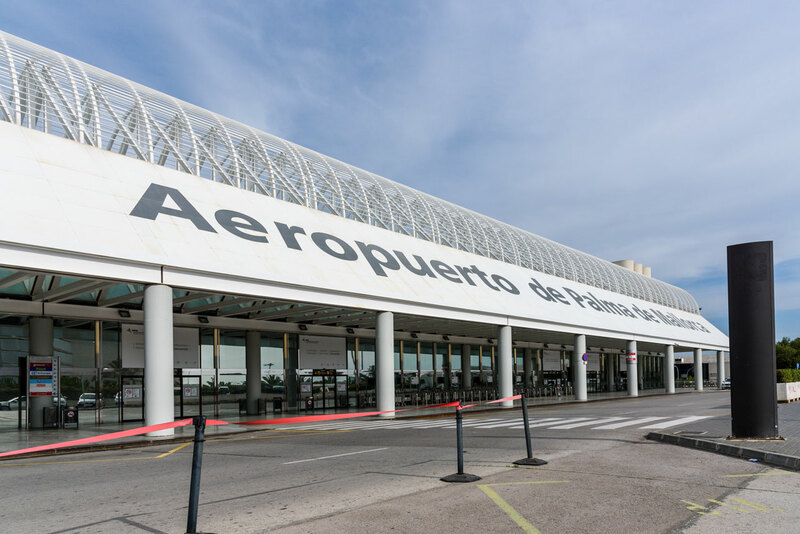 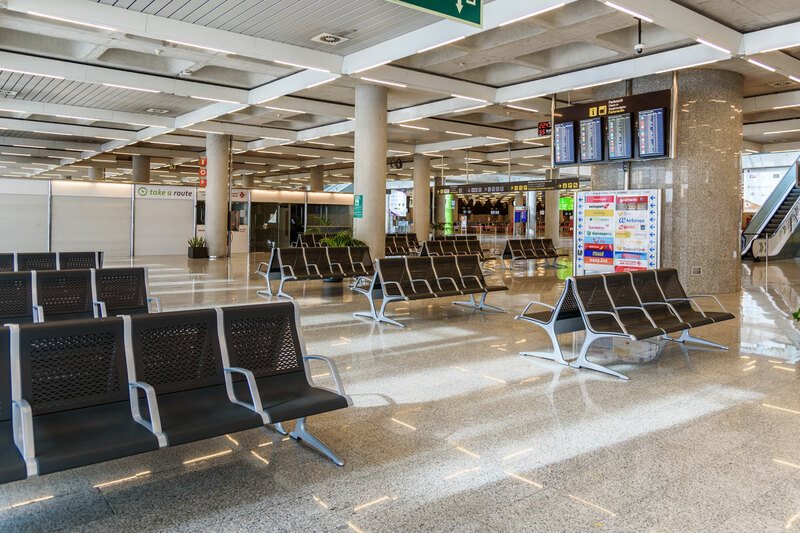 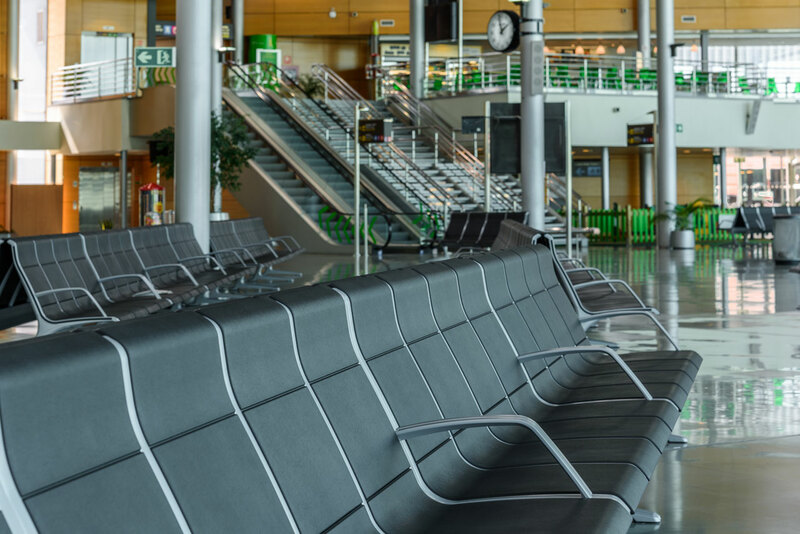 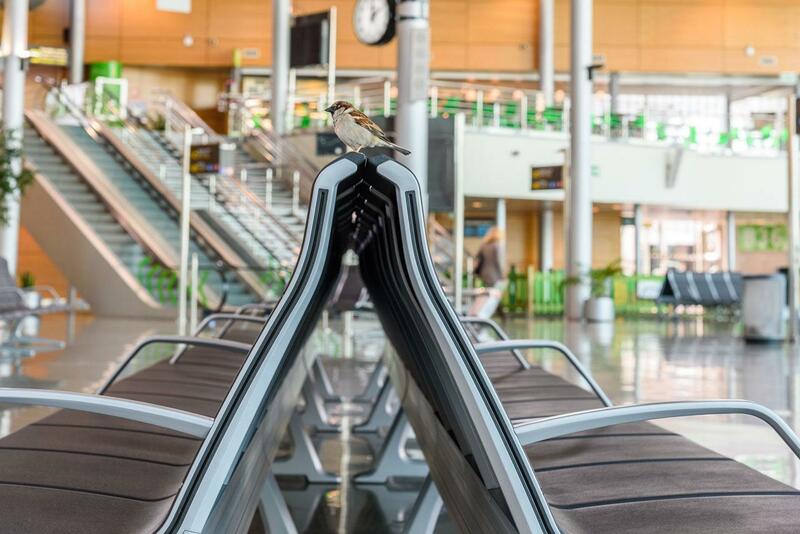 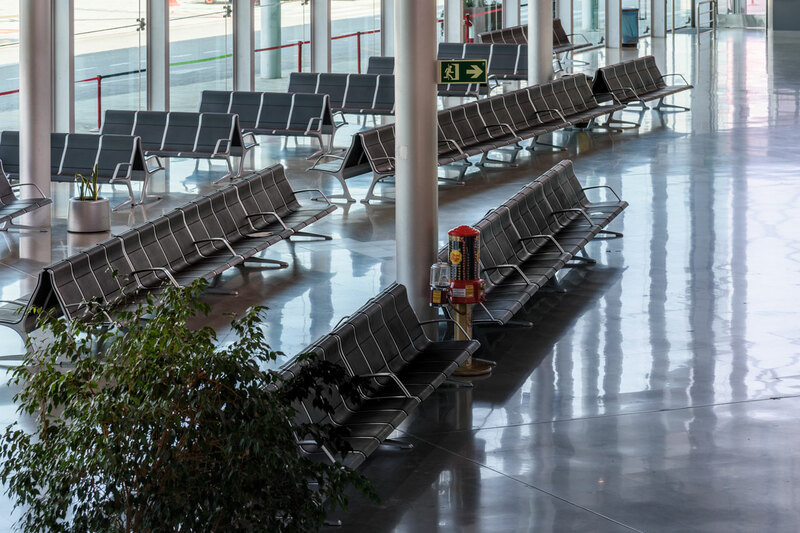 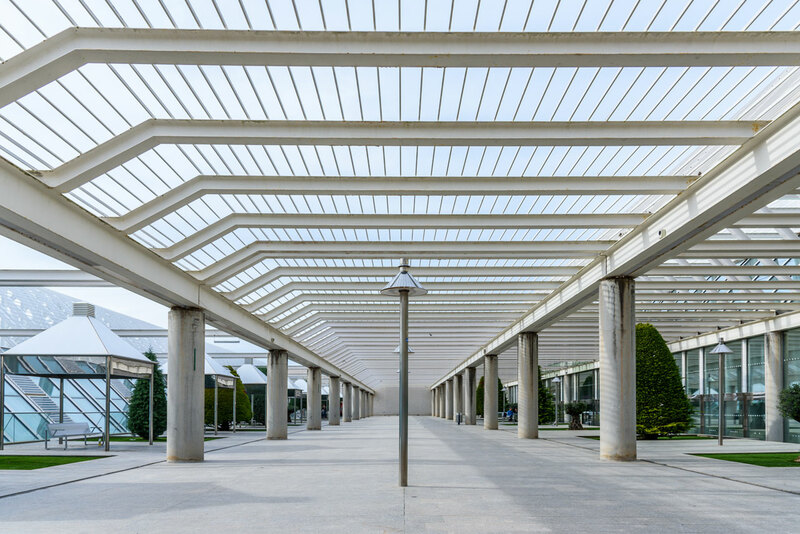 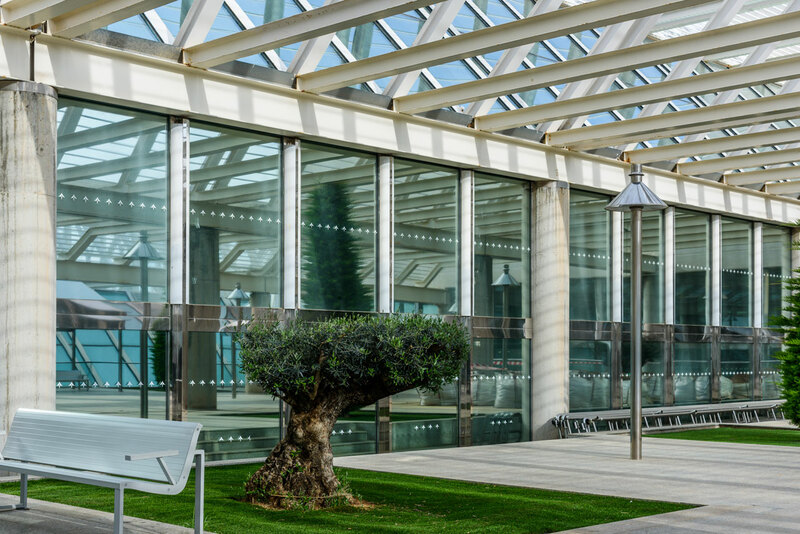 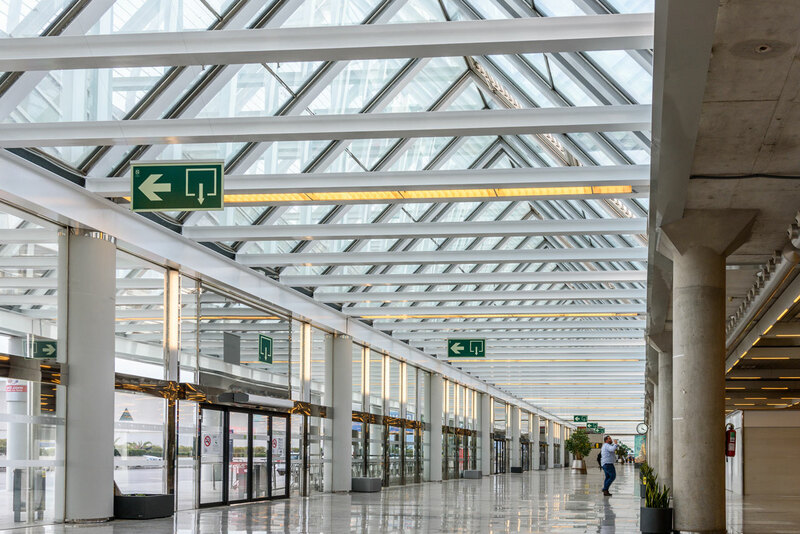 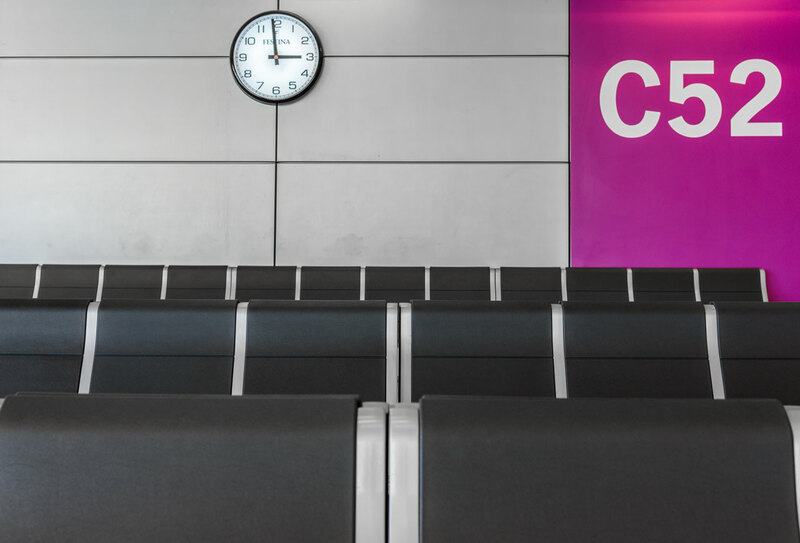 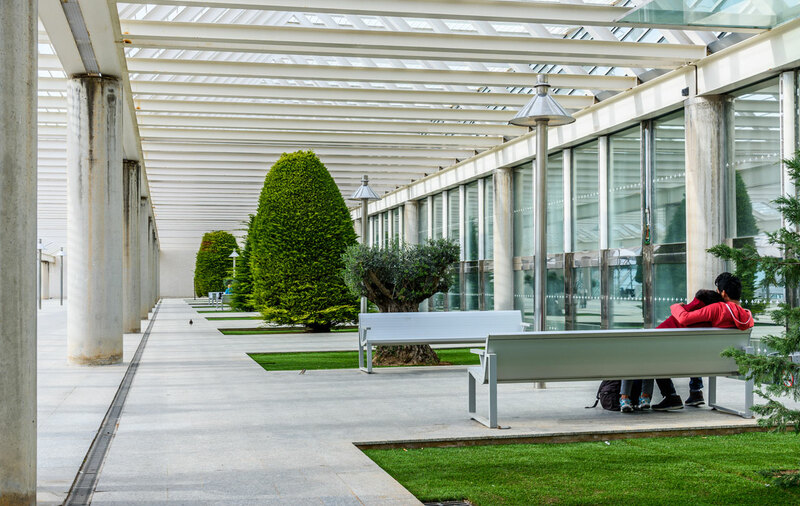 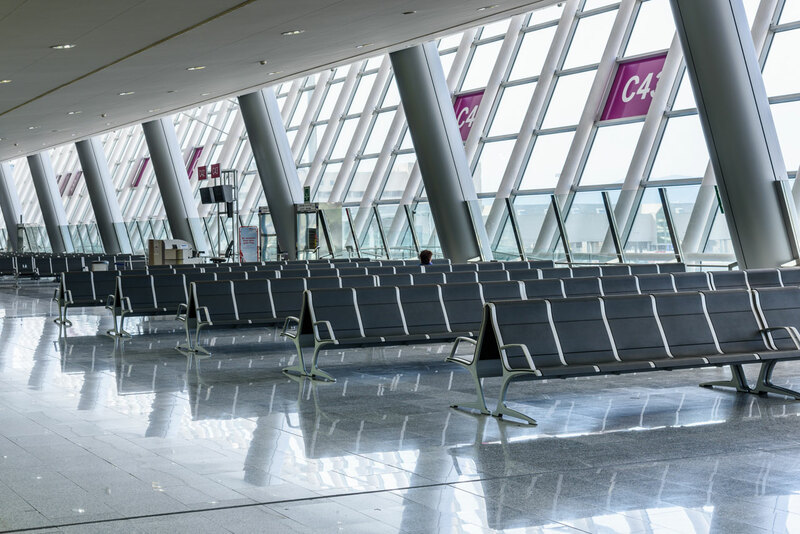 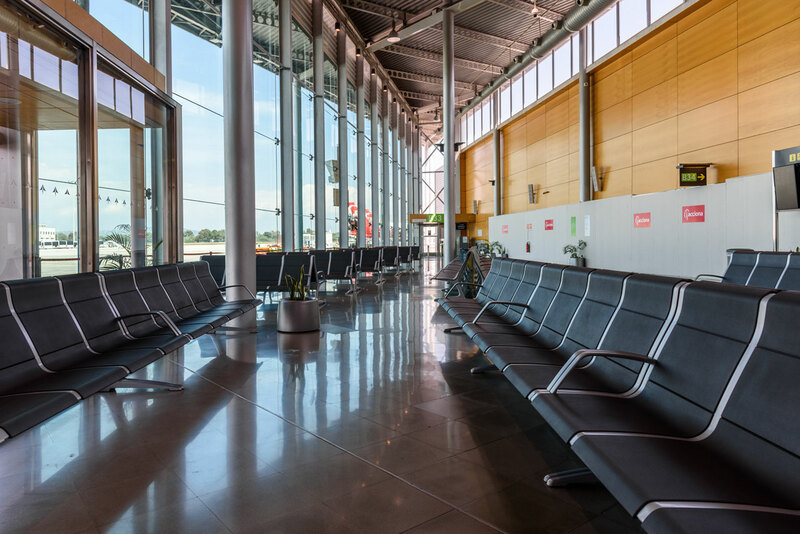 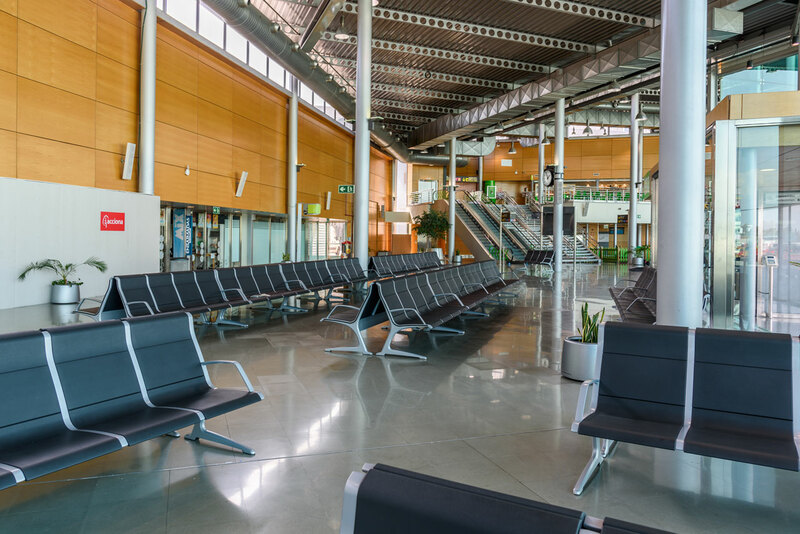 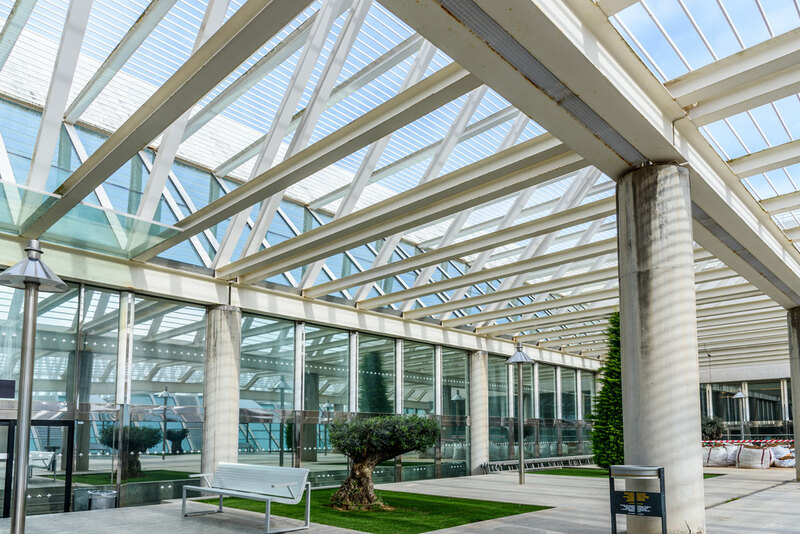 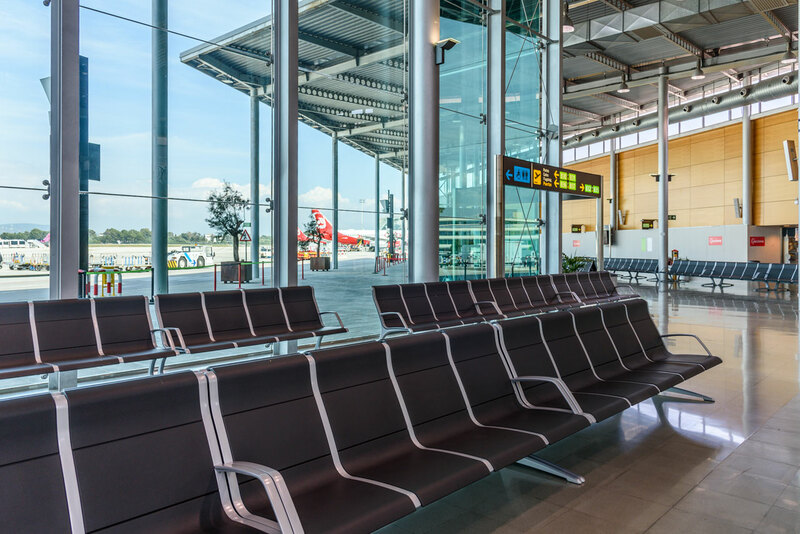 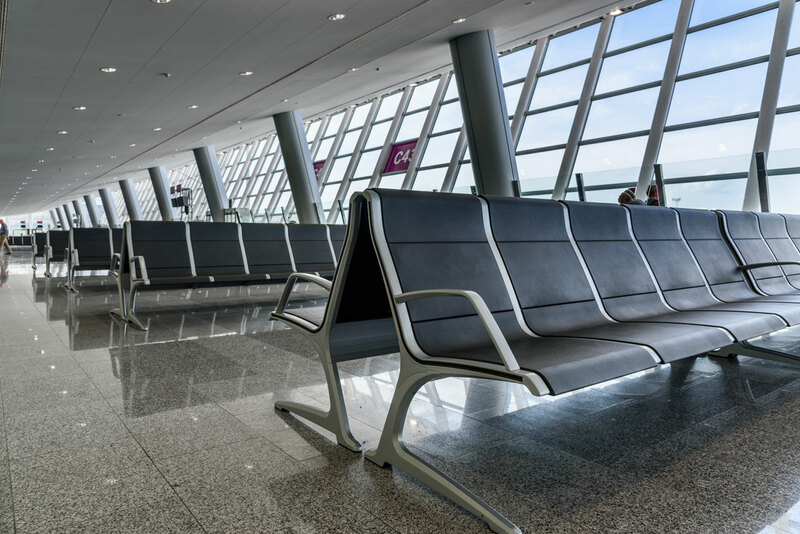 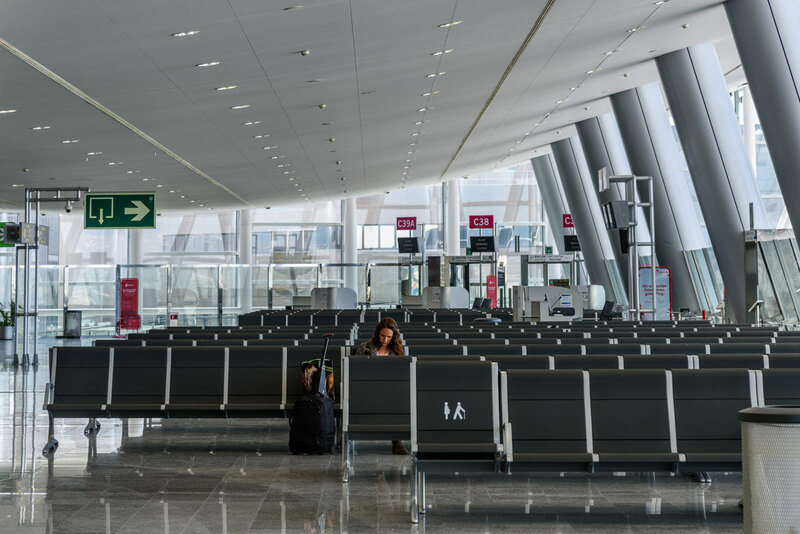 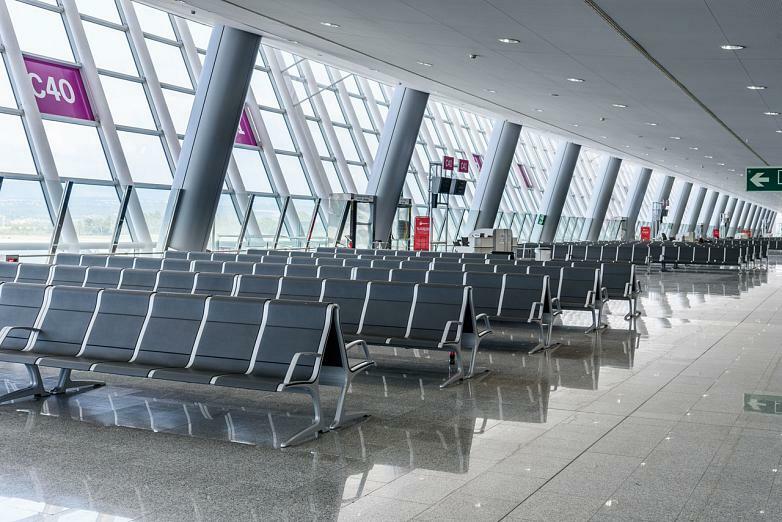 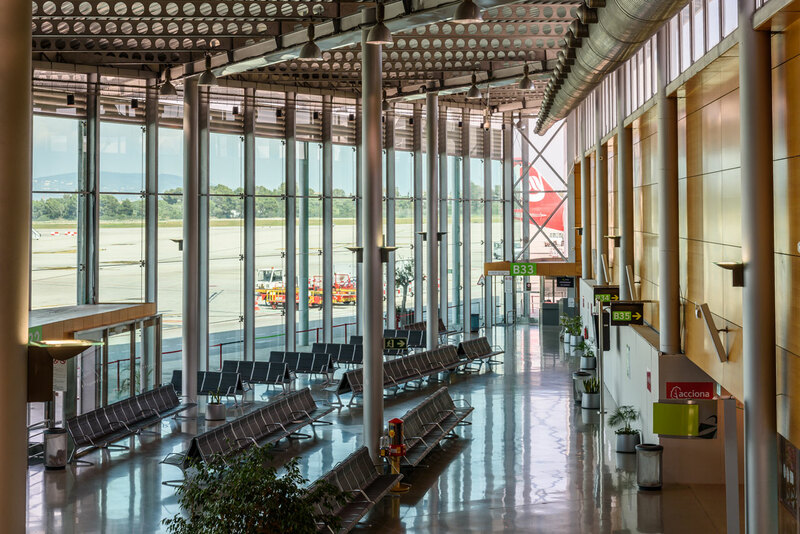 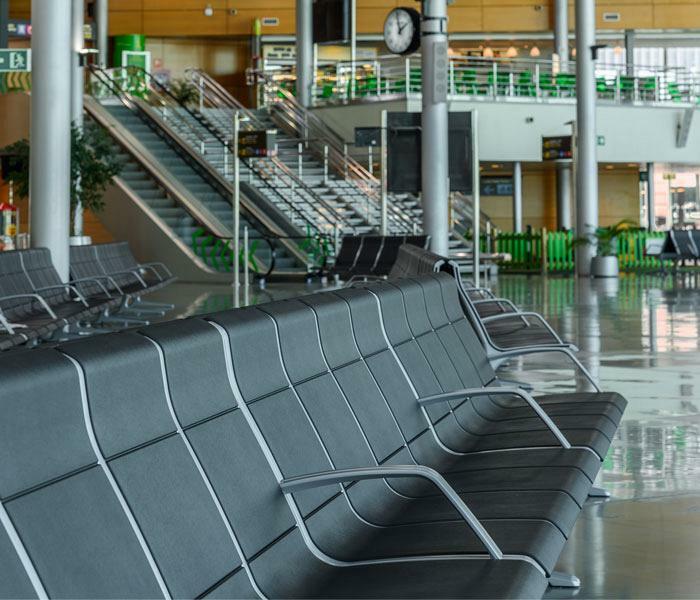 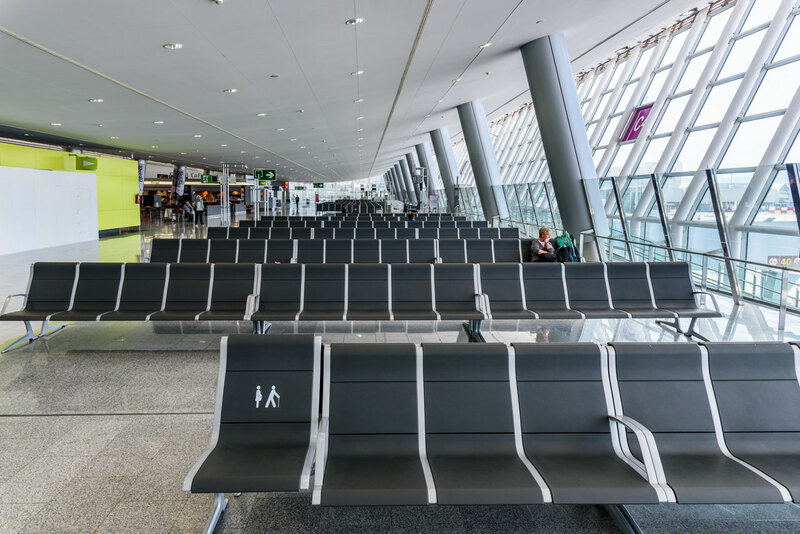 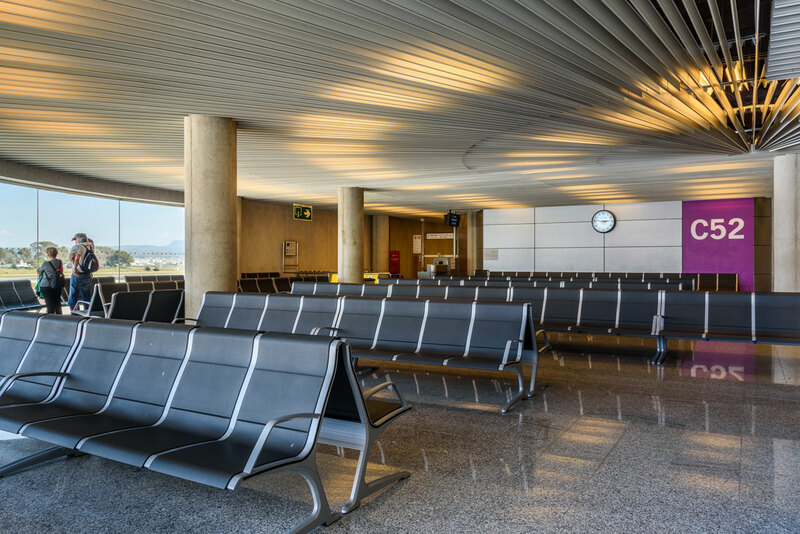 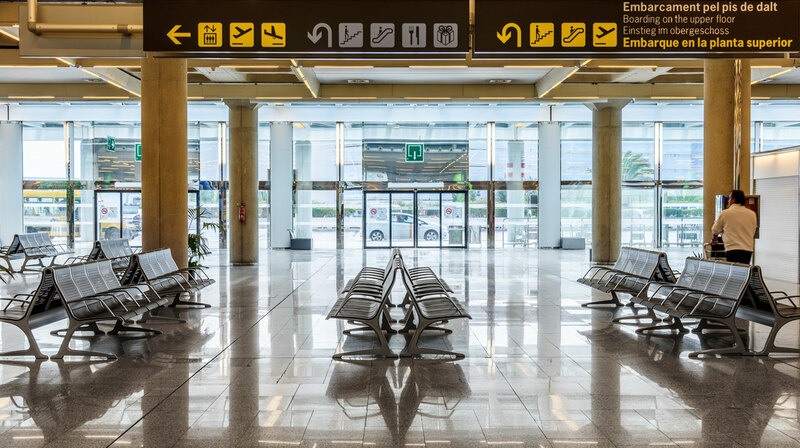 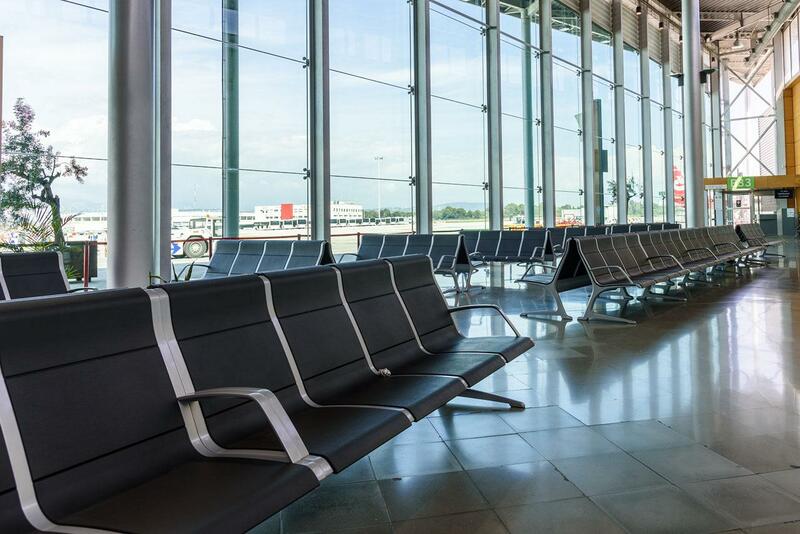 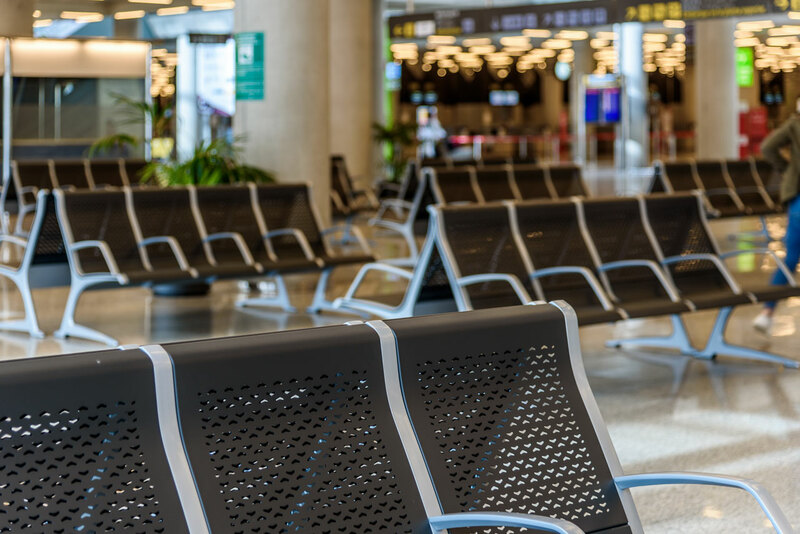 The Mallorca Airport, the third largest in Spain for transit, with 25 million passengers per year, has renovated and modernised its facilities to provide its passengers with added comfort and well-being. 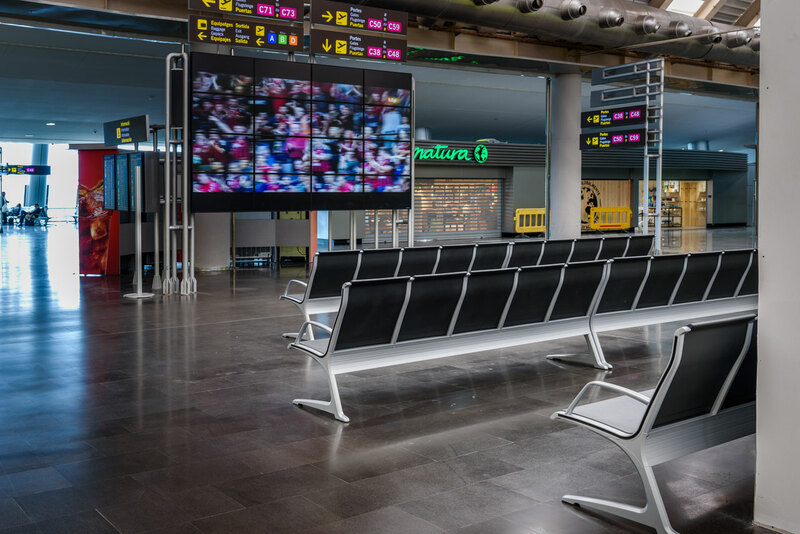 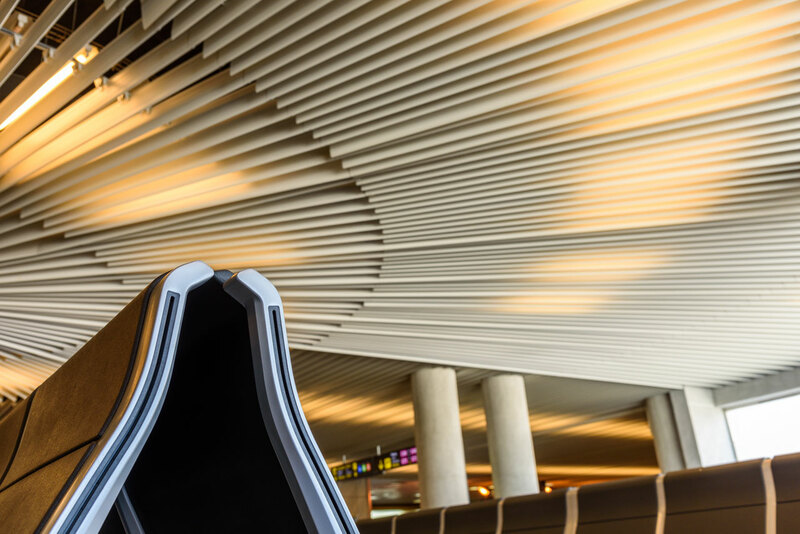 AENA has relied on Actiu to furnish these spaces, which can accommodate 112,000 users a day, with the installation of 2,600 Passport benches, designed by Javier Cuñado from ITEMDesignwork and manufactured by Actiu. 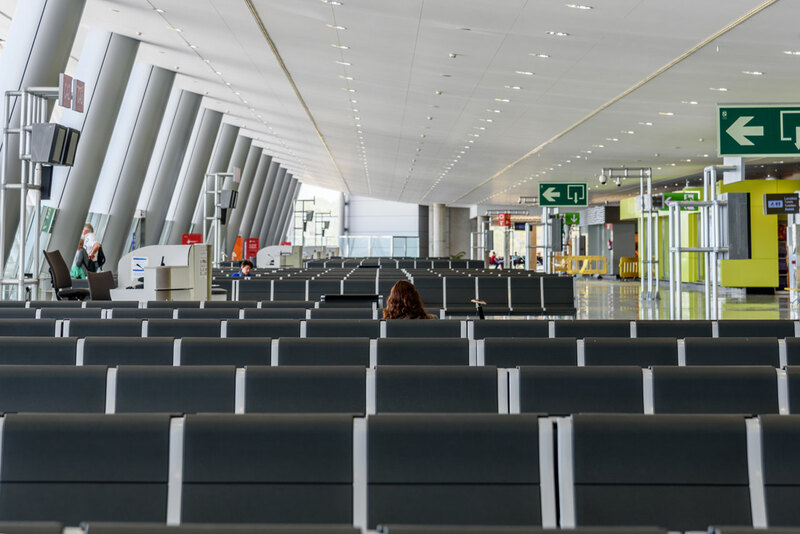 In total there are 11,105 seats that are distributed among the Land Zone, located before check-in, and the Air Zone, beyond the Security Control. 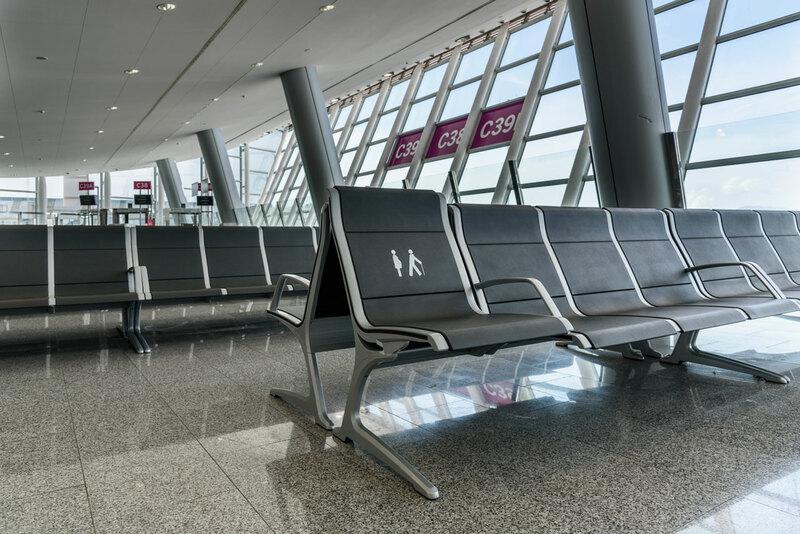 All of the benches are manufactured with the highest polyurethane quality standards and have a 2 mm thick internal steel structure, which provides them with impressive strength as well as comfort during use, in addition to being fire resistant, UV radiation resistant, stain proof and static proof, thus preventing the adhesion of suspended particles and facilitating their cleaning. 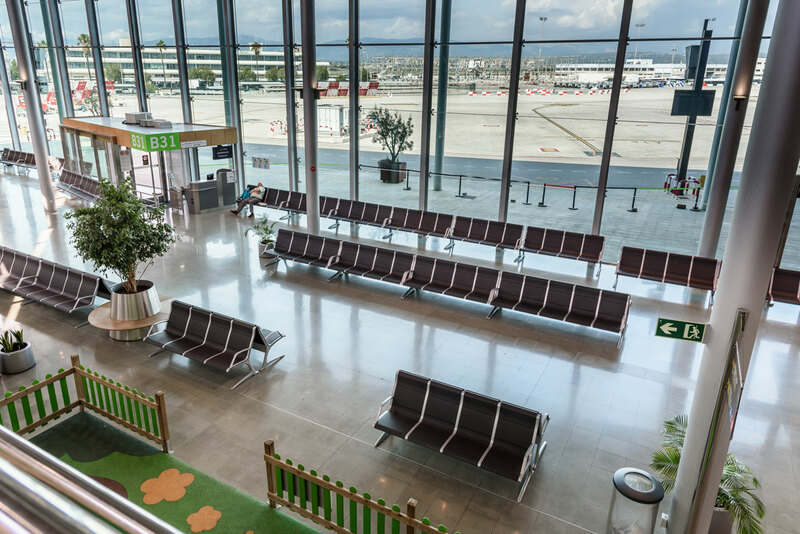 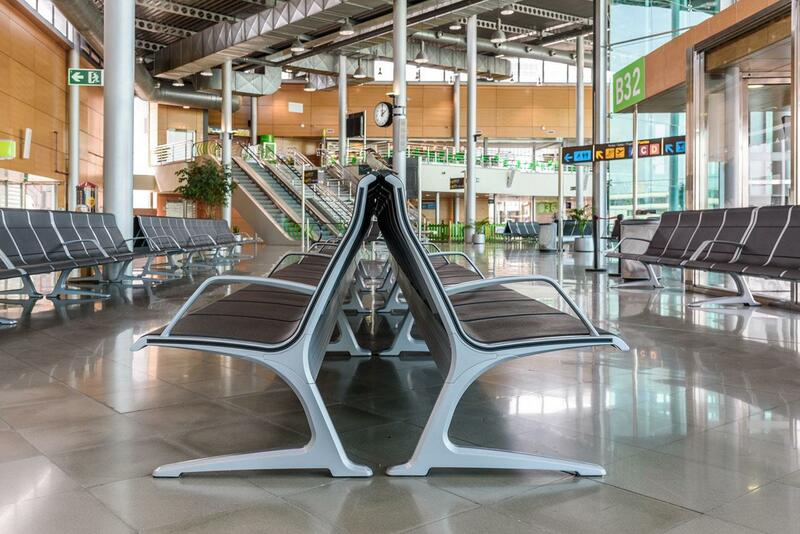 At the same time, this design includes a specific model for people with reduced mobility, which has also been installed in the Mallorca Airport. 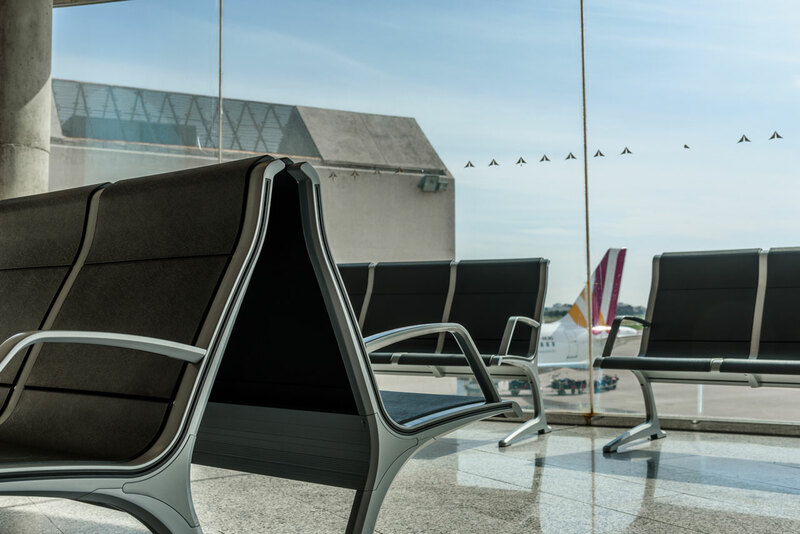 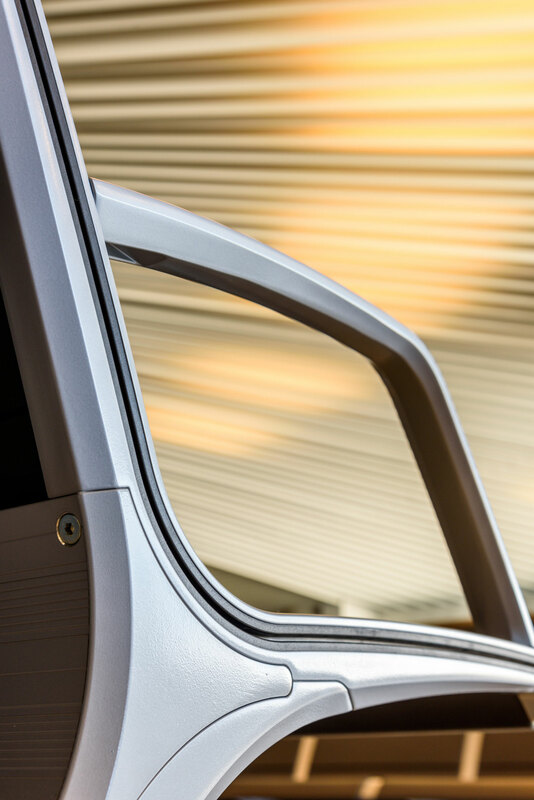 Specifically, by means of an aluminium injection supplement that raises the seat, the Passport goes from 420 mm in height to 500 mm, the ideal height for facilitating the transfer of a person in a wheelchair to the bench and vice versa. 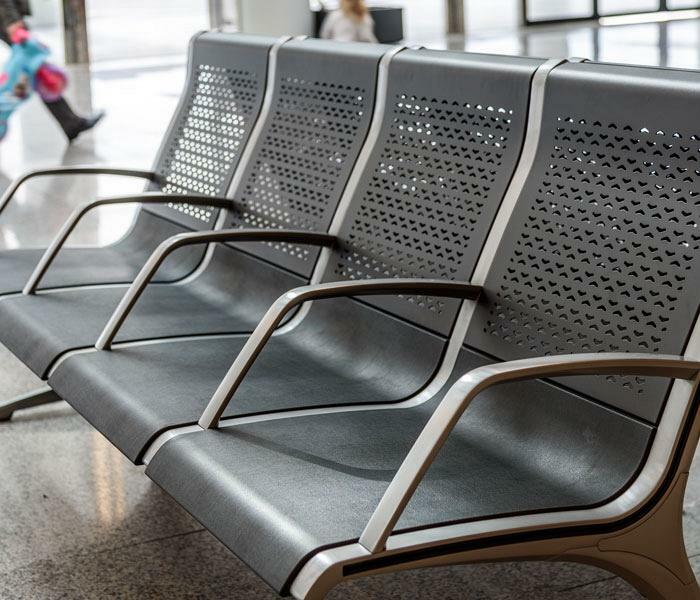 Furthermore, the benches have been manufactured in different models depending on the area they are intended to be used in. 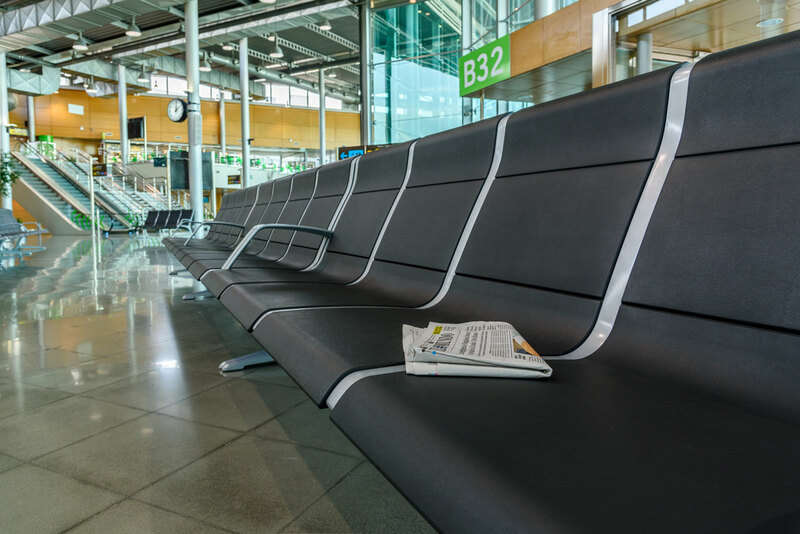 For the Land Zone, there are 400 benches with 4 seats with armrests in the middle, made of black polyurethane and perforated steel sheet backrests to facilitate breathability. 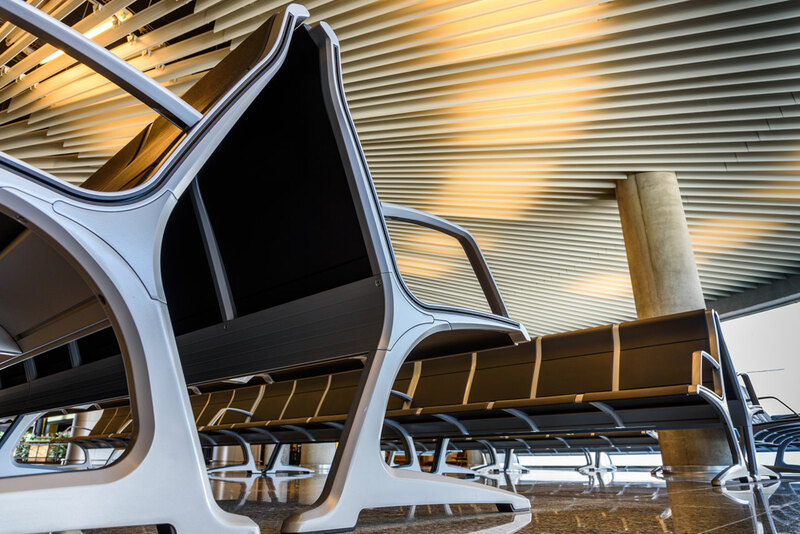 Its design also favours ergonomics, as the shape of the seat surface and its backrest adapt to the human body, guaranteeing a healthy and comfortable posture. The Air Zone has been equipped with 1,300 benches with 4 seats and 900 with 5 seats made entirely of black polyurethane. 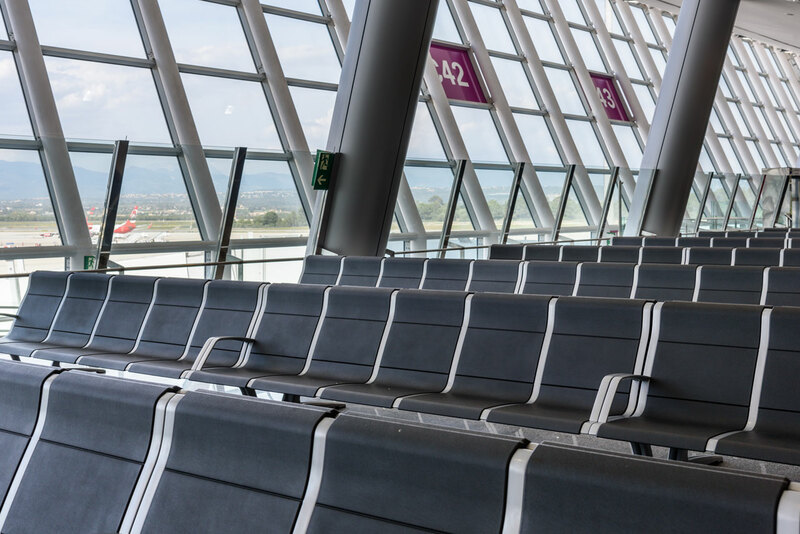 They have armrests at the lateral ends but not in the middle, which allows passengers to lie down and rest comfortably if they have a long waiting time. 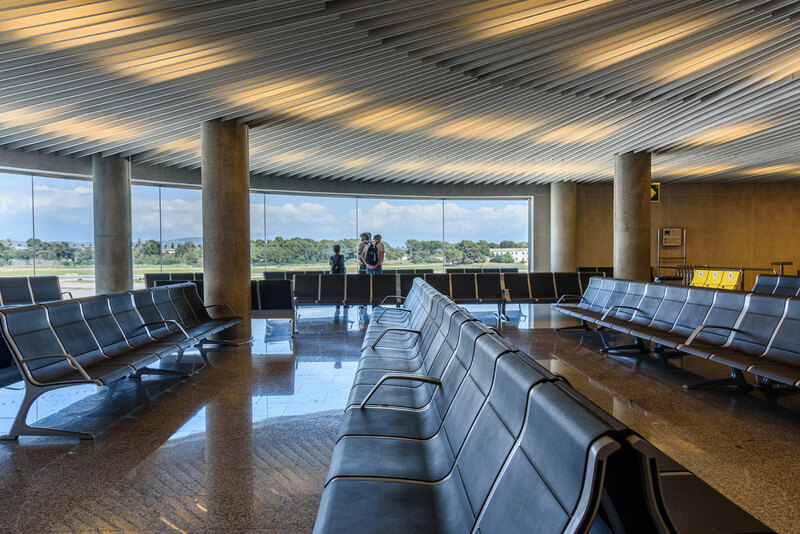 Actiu’s entire project, which provides flexibility in the management of airport spaces in order to respond to the seasonal fluctuation of passenger traffic, strictly complies with international quality standards such as the UNE-EN ISO 14006 Ecodesign Management System Certificate, as well as the technical specifications required by Aena.